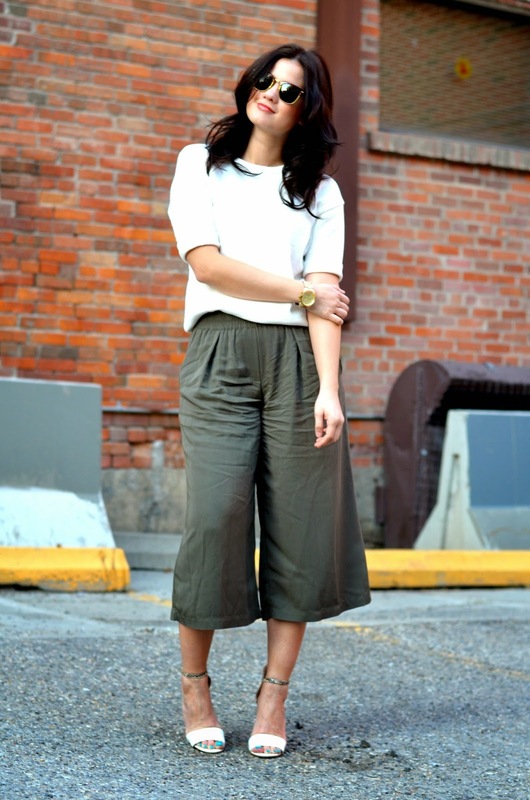 Well I never thought I'd say this but I think I finally found a pair of culottes that work on me! I know, I know they're a tad wrinkly... ok REALLY wrinkly but I swear they weren't like that when I left my house. I sat down in my car then got up and they got wrinkly! Oh well, I still love them! Speaking of love, How great are these sunglasses? I'm a huge fan of Ray-Ban's... and they're classic for a reason. I have about 5 pairs and they never go out of style. When SmartBuyGlasses approached me to check out their vast selection of designer sunglasses online I was pleasantly surprised at the selection and the prices! They have every pair of Ray-Ban's you can think of! Not to mention, other amazing brands like Celine, Burberry, Dolce & Gabbana and Tom Ford just to name a few! Since they are leaders in the optical world they have some of the best customer service I've seen. They ensure that you are 100% satisfied with your purchase and follow up once the package has been received (I received mine within 2 days of ordering) which is super rare! The great team at SmartBuyGlasses want to gift one of my readers with a $150 voucher to get a pair of your own! All you have to do is enter below! The contest runs for 10 days and is open to Canadian residents.... Good Luck! I've been dying for a pair of Ray Ban Clubmasters or Erikas! 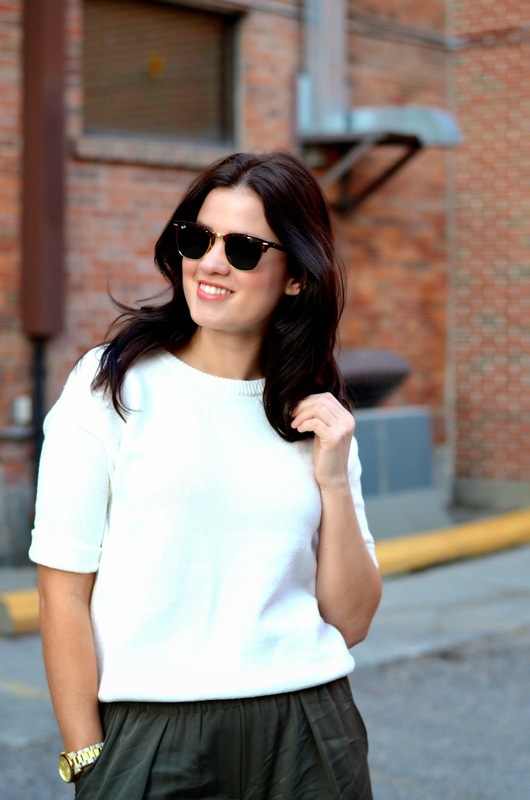 The Erikas seem so classic, but the Clubmasters have an edge ;) You look amazing in yours! 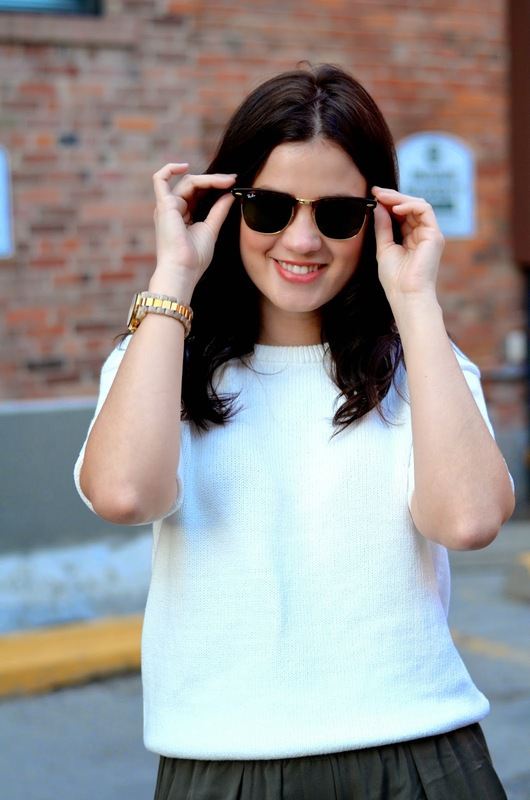 I love the Ray Ban clubmasters! I recently bought a pair, and I've been itching to wear them with all the sunny weather we have been having. Some seriously gorgeous sunnies you've got there (I'm totally biased - I have them too), but that site is tempting me. I've never heard of them before, but I want like.....10 pairs. The Gucci 3157 glasses have caught my eye though. Love love this look!! Those pants are perfection! So cute. The Adidas Evil Eye Halfrim look cool! I love sunglasses! I could spend hours trying them on! 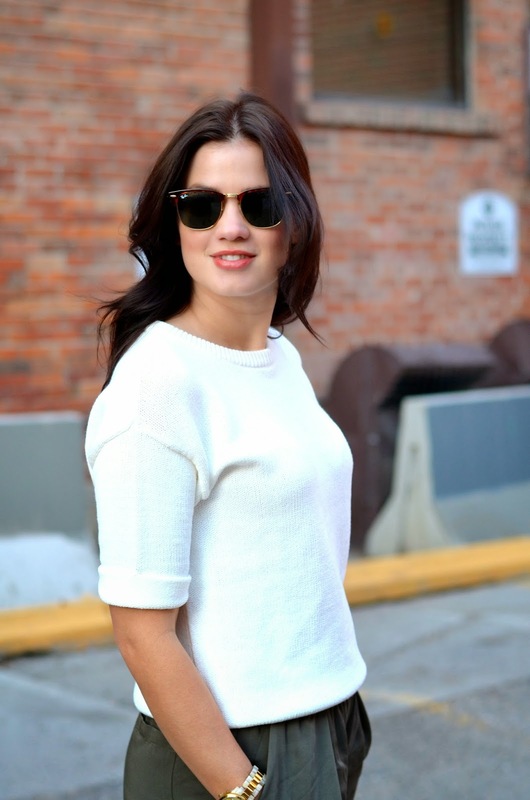 My favorite are Ray-Bans - I like the RB4171 Erika shades! What a great site with a great selection! The Club Master's are a classic! Can't decide... I only own one pair of sunnies, so I certainly need to bulk up my collection!